By now everyone has heard of Groupon, the deal-of-the-day website that features discounted gift certificate. 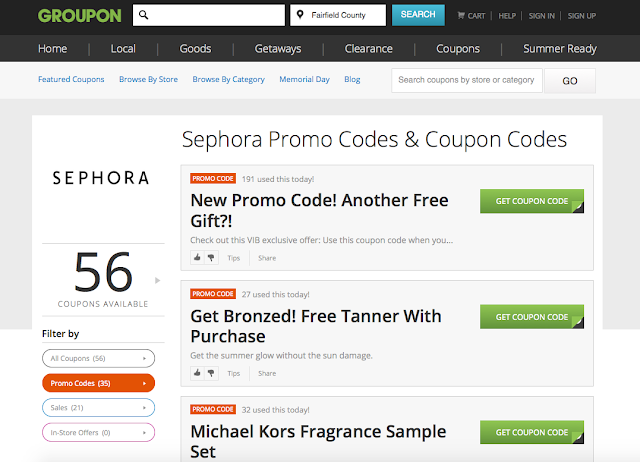 They recently started a new section, Groupon Coupons, a collected and curated group of 55,000 coupons and promo codes from top stores. When I shop I NEVER check out without searching for coupon codes so Groupon Coupons is a regular stop for me while I'm shopping. You can search by store, my usual method, or by category to see where the best deals are. They also separate into three categories: Sales, In-Store Offers and Promo Codes to help you narrow down even further. 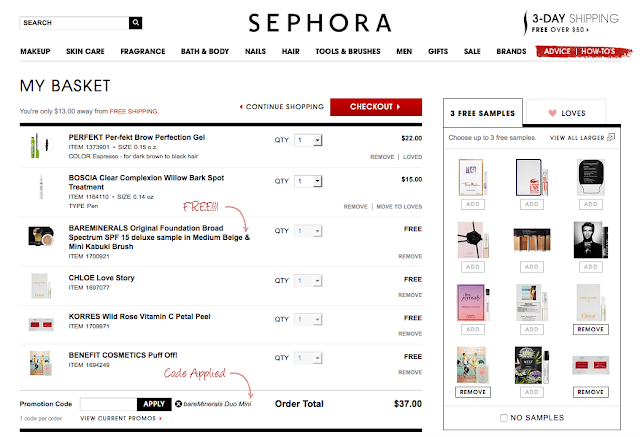 As I scrolled down I saw what I wanted: a Free Bareminerals Duo Sample With Kabuki Brush. I don't use foundation much, so this is a good way for me to try out a new product. 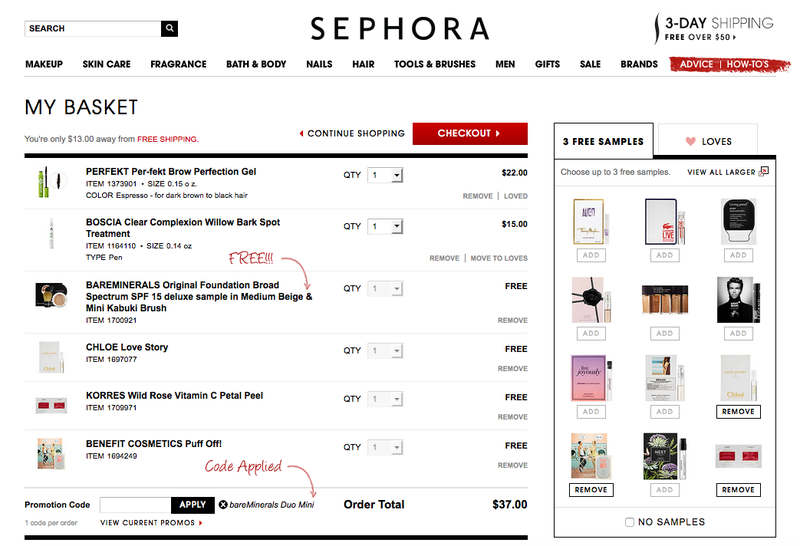 Next I added what I came for to my cart, add the coupon code and get my other free samples with my order! A great way to get more bang for your buck! Easy as pie! always love an easy way to save more money!